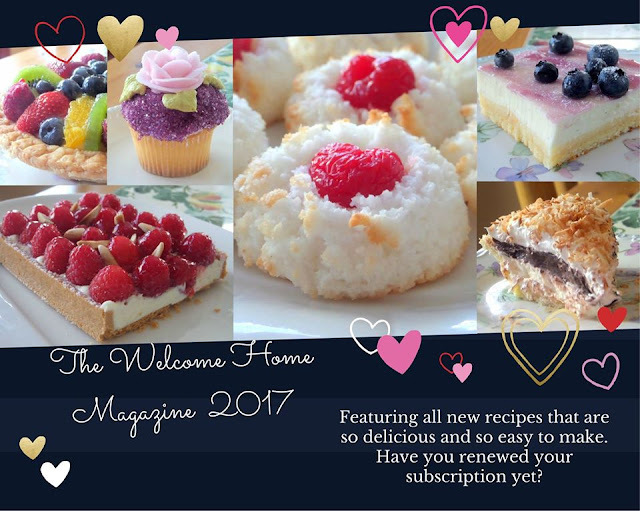 Welcome Home Blog: THE WELCOME HOME ONLINE MAGAZINE 2017! Attention: I am starting another brand new year of the Welcome Home Online Magazine and now is the time to subscribe for the first time or renew your current subscription, if you haven't already. What is the Welcome Home online Magazine? It's a place where I post recipes exclusive to subscribers only....over 800 recipes you've never seen before. Everything from Main dishes to desserts....from soups to salads....from country food to Mexican and Chinese! You'll love it!